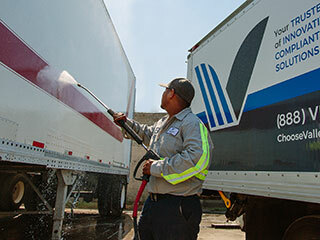 Our fleet washing customers enjoy the benefits of a scheduled vehicle washing program. We clean engines, frames, and heavy equipment. We also provide FSMA-compliant sanitization and deodorizing of box trucks, trailers and railcars. Getting new decals for your rigs? We’ll take your old decals off so they’re ready for your new branding. 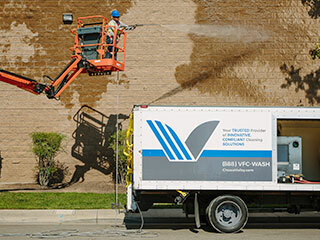 Valley Fleet & Facility Cleaning can also keep your sidewalks and parking areas steam cleaned. We offer pressure washing services for the interior and exterior of structures, including graffiti removal and surface restoration. We even steam clean commercial kitchens and exhaust systems for multiple location and large institutional clients. We’re now able to provide our Industrial and retail customers with parking lot sweeping services. Our regenerative air and mechanical sweeping equipment meets the needs of your SWPPP compliance and maintenance programs. 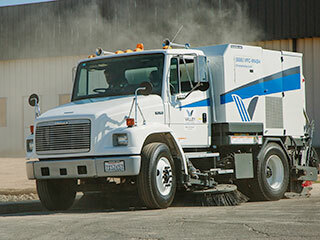 Rest assured knowing on-call and emergency dispatch sweeping services are available.